The central idea of the book - better to construct small experiments and learn faster - seems right, but for a book about validated learning there is precious little data to support the hypothesis. Do Lean Startups return more money to investors or do they just pivot between slightly different ways to share photos before entering the deadpool at the same rate as Fat Startups? I want to believe Lean is better but a stack of anecdotes about IMVU just isn't enough to convince me. Also, I hate all business books that start out by explaining how their profound ideas are applicable to all people at all times in all industries before stretching out a paragraph of insight over hundreds of turgid pages. Lastly always read business books a few years after the peak of their popularity so you get the benefit of hindsight and a chuckle at the companies that are held up as shining examples of the author's methodology at the time but are now dead, festering or mostly incarcerated. Having said all that I think that the approach is generally right and I appreciate that at several points in the book Ries states that there are no easy answers and no substitute for good judgement. 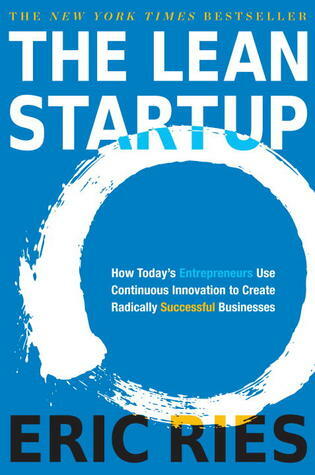 Sign into Goodreads to see if any of your friends have read The Lean Startup.